Clearly this woman worked in a newsroom. (cause it looks like a newsroom) I had a similar boss at one point. News Directors come and go like men through Taylor Swift’s dressing room. In fact, that guy who eliminated my position via text message and email after a decade of dedicated service? (paging Mrs. Bitterman) Yeah, he just got kicked to the curb. Karma is a wonderful thing. Anyway, this other guy would start each morning meeting reading from a tally sheet. “People love the homicide video. That got the most hits.” I am so happy their loss is your gain a**hole. There are journalists who actually care about people and telling a good story. Anyway, resignation letters are so 1995. This interpretive dance for her boss is solid gold. By Cynical Mother | June 20, 2013 - 7:36 pm | SHE SAID WHAT? I found the Father’s Day gift in my son’s back pack under a crumbled cookie and sucker stick. 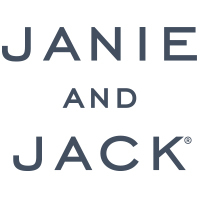 Where I am from we call it a sucker. You may refer to it as a lollipop. We also call soda: “pop.” What kind of pop do you want? I try to get all fancy and order soda, but pop always finds its way back into my vernacular. Here is the gift. 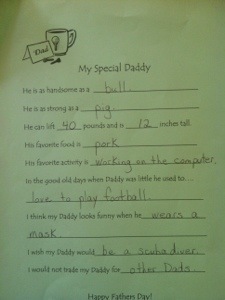 Take note that my son wishes his Dad was a scuba diver. He could fight off sharks since he is strong as a pig. I am definitely saving this project. By Cynical Mother | June 18, 2013 - 2:58 am | SHE SAID WHAT? street as people pay to get a glimpse of the apparent crop circles. Well, I hate to disappoint you. 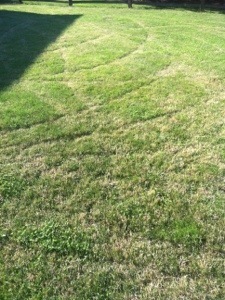 Aliens did not travel across the galaxy to doodle in my yard. My husband mowed the lawn. He was far too busy rockin’ out to Alice in Chains (True story. This is after he changed out of his ripped jeans and hyper color t-shirt) to realize the mower deck was lopsided. I don’t know what happened, but this is the finished product.